Well, this is a bit off topic but I think enough of my readers have a dog as do I. He’s with me at work often and he is a great companion. Loyal to the bone, always by my side, ah… I digress.. if people were as loyal and trusting to each other as our pets are, the world would be a better place. I take Romeo (an Italian Greyhound) to the dog park 3 – 5 days a week. He has a blast running and playing while I talk with other dog owners. People and their pets are very fascinating. Everyone talks about their pets or their job and it’s just a great way to network with new people and get some friends for your pet. It’s always interesting when I meet someone new and they ask what I do. I always get questions about how to find an ex-girlfriend from college or former roommates or track down deadbeat debtors. While at the Dog Park I met a woman who owns a terrier (Lucy, formerly “Bo”, but she had to change the name as it sounded like “No”) and a pug (Spike). A few months ago part of the conversations were about how overweight some of the dogs were. Spike needed to lose about 10 lbs (he was a very heavy pug). The topic turned to what kind of food the owners feed their dogs and what kind of natural supplements they use if any. 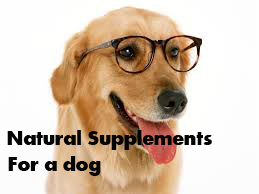 Natural supplements for a dog are essential, especially if you have an active dog or a dog that is a little older. I would recommend natural supplements for a dog especially if you want to keep your dog healthy and avoid vet bills in the future. Anyway, Spike lost 10 lbs in the last 60 days using a diet of homemade dog food (ground turkey, broccoli, carrots and natural vitamins and minerals mixed in) with natural supplements for a dog mixed in. Their is so much information about dogs and pets and it is a big business. I found a wonderful new online store called muttropolis. If you need some unique items or want to check out their natural supplements for a dog I would suggest you visit their site. Enjoy your pets and share the love for animals by giving to your local humane society, animal rescue or shelter. If you want to adopt or help rescue an Italian Greyhound please visit the IGCA Rescue. Loved to hear about your changing your IG’s diet to all natural. I have 3 IG’s I feed only Dr. Harvey’s it’s the best. http://www.drharvey‘s com. The best all natural foods and treats and their Health and Shine is great for skin and joint health only all natural. My IG’s love Canine Health and oh you have to try Power Patties!! The best treat ever! Does your IG sleep under the covers? All three of mine do! Yeah, this is my 2nd IG, first one my wife adopted when he was 9 (lived to 17). Romeo buries himself under the blanket. We got him this really cool blanket that he crawls inside. Thanks for the post. I always consult my vet when it comes to my pets health.